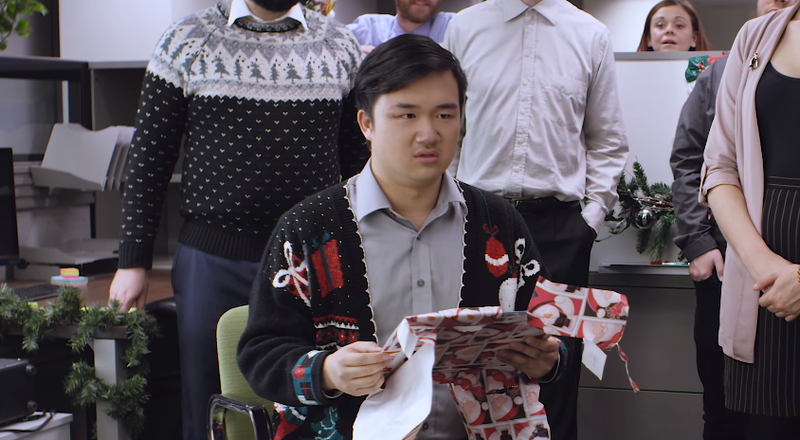 Be Your Best Secret Santa This Christmas with Air Miles Canada Campaign: "Chef" "Eye Patch" and "Monkey"
To celebrate perhaps the most awkward of holiday traditions, AIR MILES released​ a​ series of tongue and cheek videos focused on Secret Santa gift exchanges. In addition to the videos, AIR MILES also released some interesting findings from a survey they conducted about Canadians participation in Secret Santa. The findings revealed that, unsurprisingly, 93 per cent of Canadians have received a bad Secret Santa gift. Canned asparagus, toilet paper and an ant farm are just a few examples of the weirdest and wackiest Secret Santa gifts participants have ever received. Focusing on the pain points around Secret Santa​ (you simply can't know all the deep, dark secrets of everyone at the office, after all), each video features​ a unique​ story line​ anyone who's ever ​given (or ​received​)​ a bad​ ​Secret Santa gift​ can embarrassingly empathize with. AdStasher: Be Your Best Secret Santa This Christmas with Air Miles Canada Campaign: "Chef" "Eye Patch" and "Monkey"